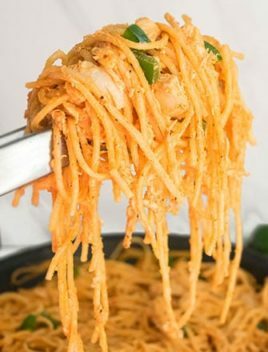 Quick and easy buffalo chicken pasta recipe, made with simple ingredients in one pot on stovetop. A 30 minute meal that’s rich, creamy, cheesy. 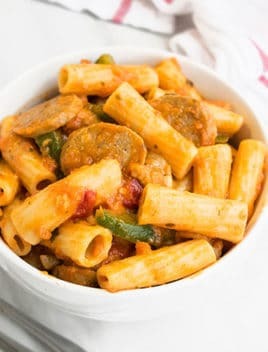 This cheesy pasta recipe is one of my favorite stovetop meals. 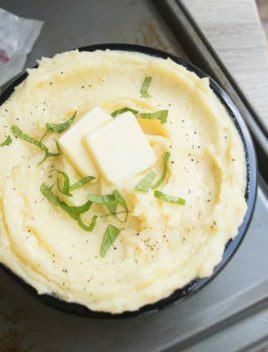 It’s so creamy, tasty and easy to throw together and you don’t have a major mess to clean up afterwards either. It’s just as delicious as this Chicken Bacon Ranch Pasta (One Pot). 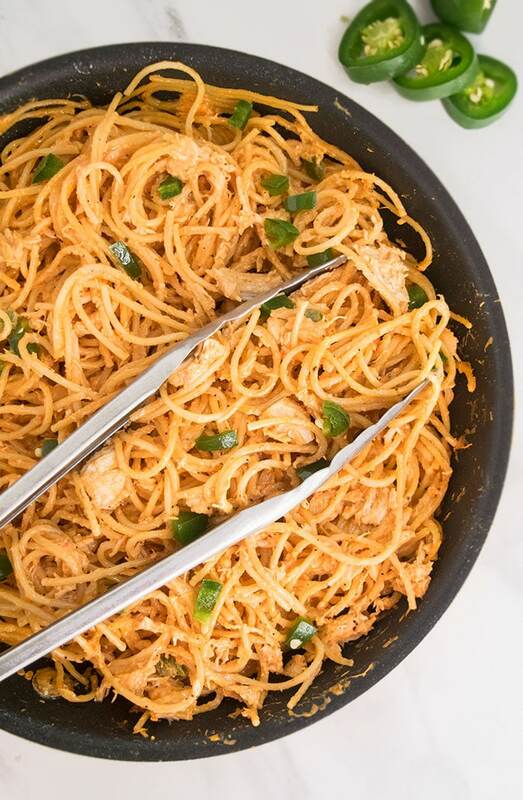 How do you make creamy Buffalo chicken pasta recipe? Heat oil in a non-stick pan and saute onions and garlic. Then, cook the chicken with some salt and pepper. Shred chicken or cut into cubes. Add pasta, chicken broth and buffalo sauce. Mix well then cover and cook for a few more minutes. In the final few minutes, stir in cream cheese and blue cheese dressing. Simmer until liquid is reduced. How do you make Buffalo chicken pasta salad? Prepare the buffalo chicken first but you won’t add the pasta. Shred the chicken or cut it into slices or cubes. Mix it together with romaine lettuce, celery, green peppers, onions, carrots and any other vegetables you like, as well as cooked macaroni. Top it off with blue cheese crumbles and ranch dressing and serve immediately. How to make Buffalo chicken pasta bake or casserole? Mix together boiled pasta, baked/grilled buffalo chicken, cream cheese, cheddar cheese and buffalo sauce in a casserole pan. Top off with more shredded cheese. Bake for a few minutes until cheese is melted and bubbly. Make sure to use a large, non-stick pan so that the ingredients don’t stick the bottom. You can also use a Dutch oven. Remember the wider the pot, the faster the cooking time. You must use uncooked pasta in this recipe. You can adjust the quantity of chicken, based on your preference. 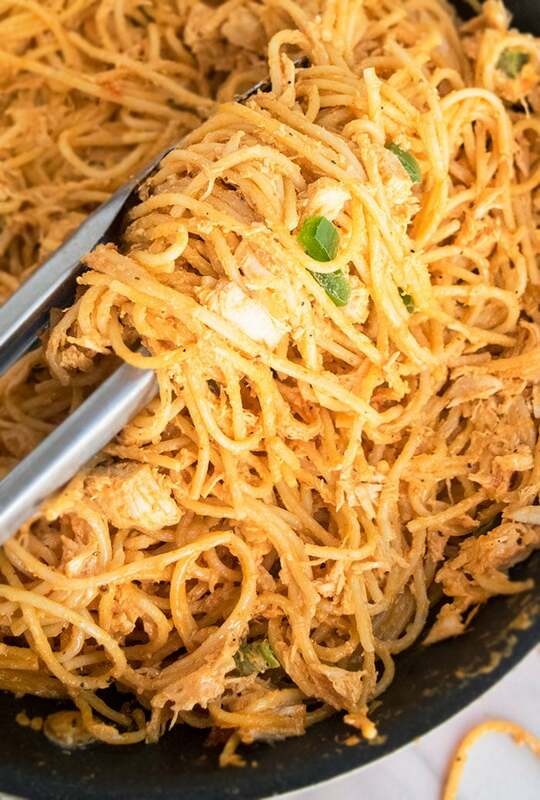 You can make the recipe vegetarian by using soy chicken. You can also use vegetable broth but chicken broth tastes the best, in my opinion. Make sure you use full fat cream cheese so as to keep this pasta’s creamy consistency and maximum flavor. 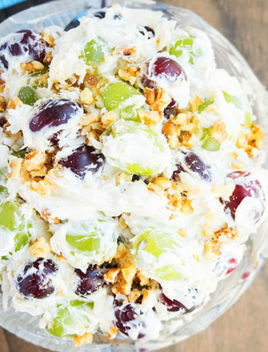 You can swap out the blue cheese dressing and use Greek yogurt to make this meal “healthier” than the original version. Add a little ranch sauce to make buffalo ranch chicken pasta. It adds a different kind of flavor that my family likes. You can replace cream cheese with Alfredo sauce to make Buffalo Chicken Alfredo pasta, which is a fun twist on this recipe. I recommend using spaghetti but other types of pastas can also be used (e.g. penne, macaroni, shells, bowtie e.t.c). You can use homemade buffalo sauce, if you like but I use store-bought sauce because it’s so much easier. 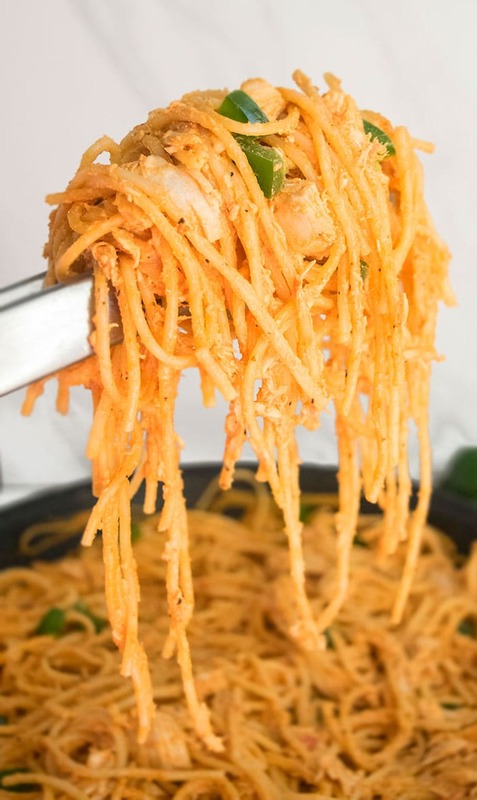 Quick and easy buffalo chicken pasta recipe, made with simple ingredients in one pot on stovetop. A 30 minute meal that's rich, creamy, cheesy. In a wide non-stick pan, heat olive oil over medium heat. Add onions and garlic and cook for 1 minute. Add chicken, salt and pepper. Cook for a few minutes until golden brown. Add spaghetti, broth, buffalo sauce. Cover and cook for about 20 minutes. 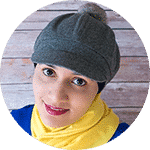 Turn off the heat and now, you have 2 options: 1) Remove chicken breast and shred it with 2 forks and mix it back into the pot OR you can slice it into small cubes and add it back into the pot. Also, instead of big chicken breasts, you could have just used small chicken breast cubes or strips and skipped this step. (My family likes shredded chicken and that's why I do this extra step). Turn on the heat and stir in cream cheese and blue cheese dressing. Uncover and let it simmer and cook until pasta is tender and liquid is reduced. Leftovers can be stored in a sealed container in the refrigerator for up to 3 days and can be reheated in the microwave. Such a great idea! Definitely adding to my list to make! Such great comfort food, yum! One pot dishes are the best but when you make them buffalo chicken! YUM! It looks so creamy! This will quickly become a family favorite! 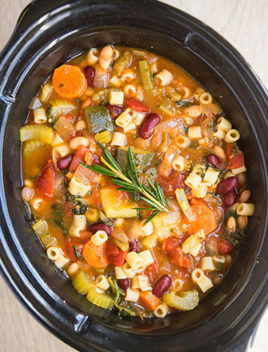 This is one of my absolute favorite one pot meals!